Spring is here, and my boys and I are already dreaming about summer. 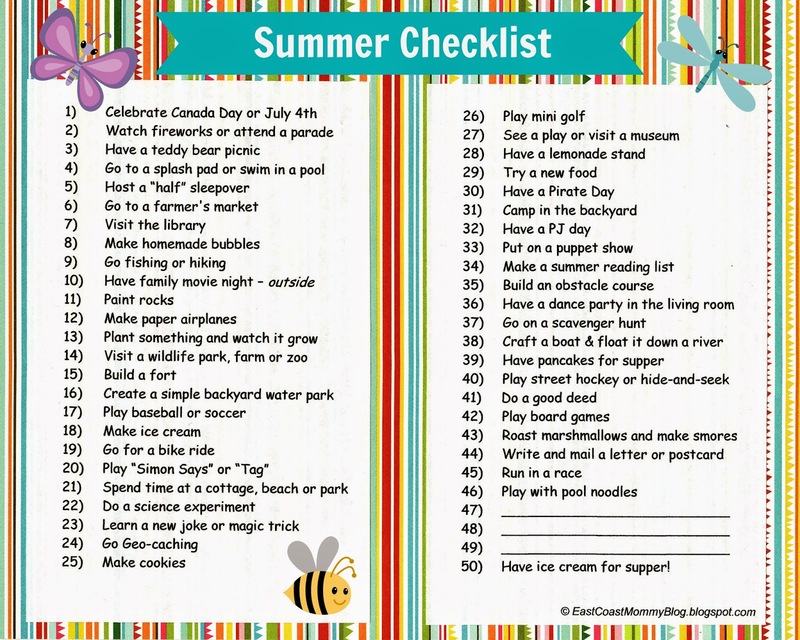 Every year, we make a summer bucket list containing 50 fun summer activities, and we spend the summer months working our way through the list. Then, when we complete our list, we celebrate with an "Ice Cream for Supper" party. Fun, right? 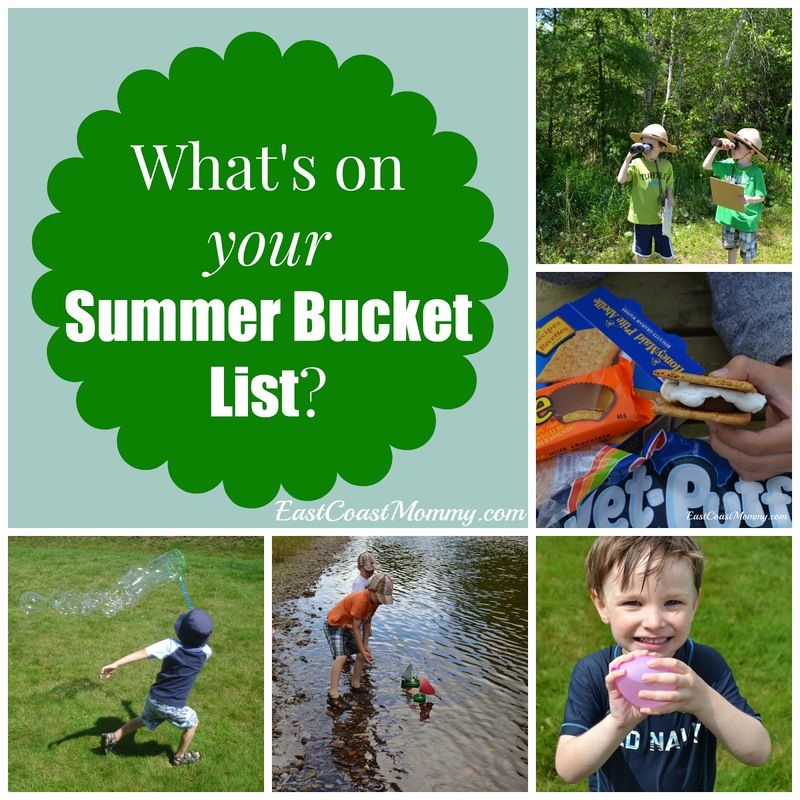 I can't wait to hear what's on your Summer Bucket List. We'll be putting our 2015 version together soon, and I am always looking for new ideas. When you have kids, packing can be a nightmare. 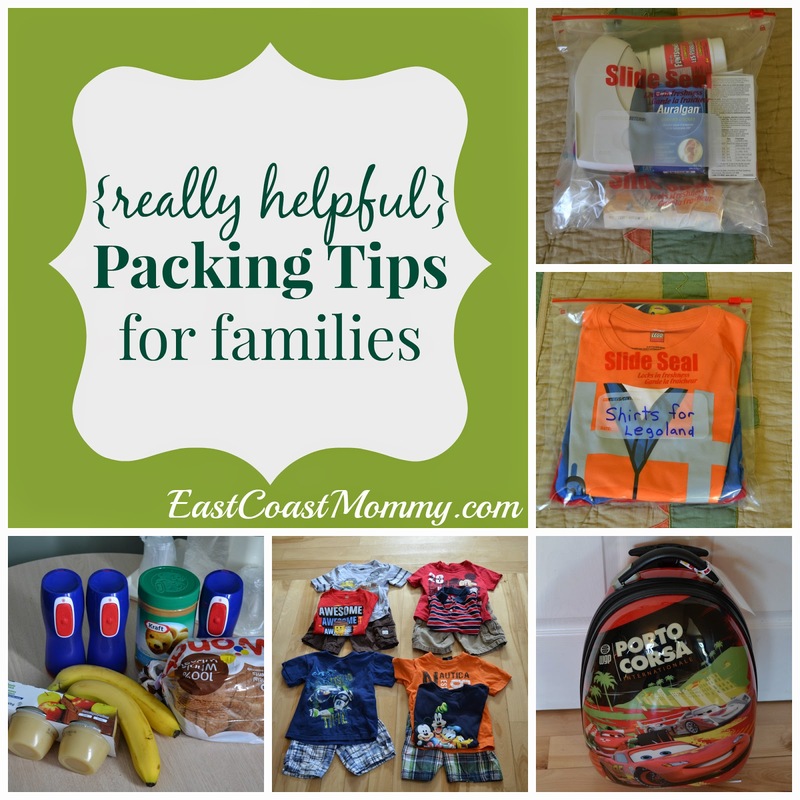 If you are packing for a weekend trip or preparing for a long vacation, you should really check out these 7 really helpful packing tips for families. 1) Make a list. You can find the one I use here. 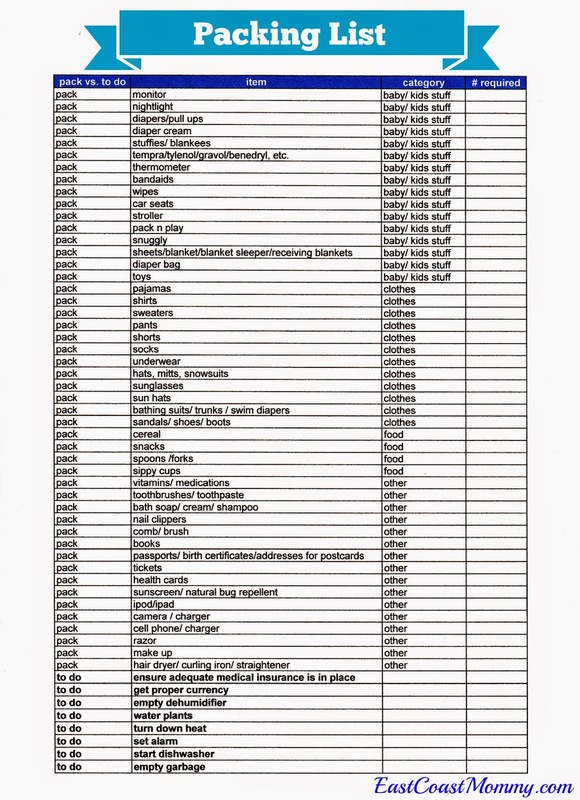 When I do a "final check" with this list, I always discover something I have missed. 2) Pack good carry on bags. You'll want to include healthy snacks, little treats, small toys/games, movies, special blankets/stuffies, water bottles, iPods/iPads, etc... If you are flying, you will want to pack a pen for customs forms/baggage tags and some gum/suckers for the kids (to help with their ears when the plane is landing). 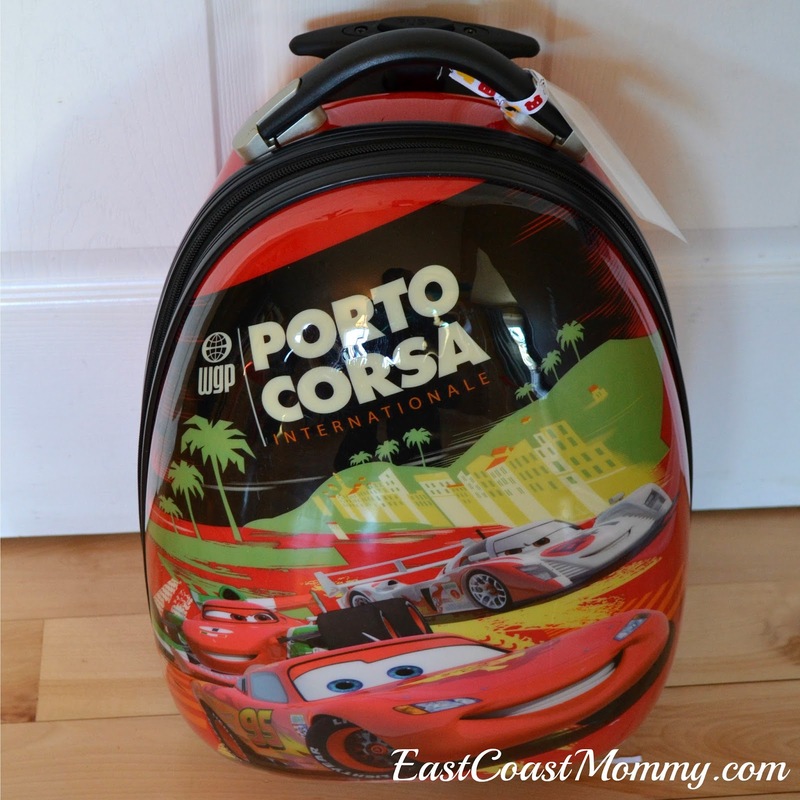 A change of clothes and bathing suits are helpful too... in case luggage gets lost or delayed. 3) Pack a lunch. I detest being forced to buy overpriced and junky food when on a road trip, spending time in an airport, or staying in a hotel room. I always bring supplies (that don't need to be refrigerated) that I can use to prepare a simple picnic lunch. 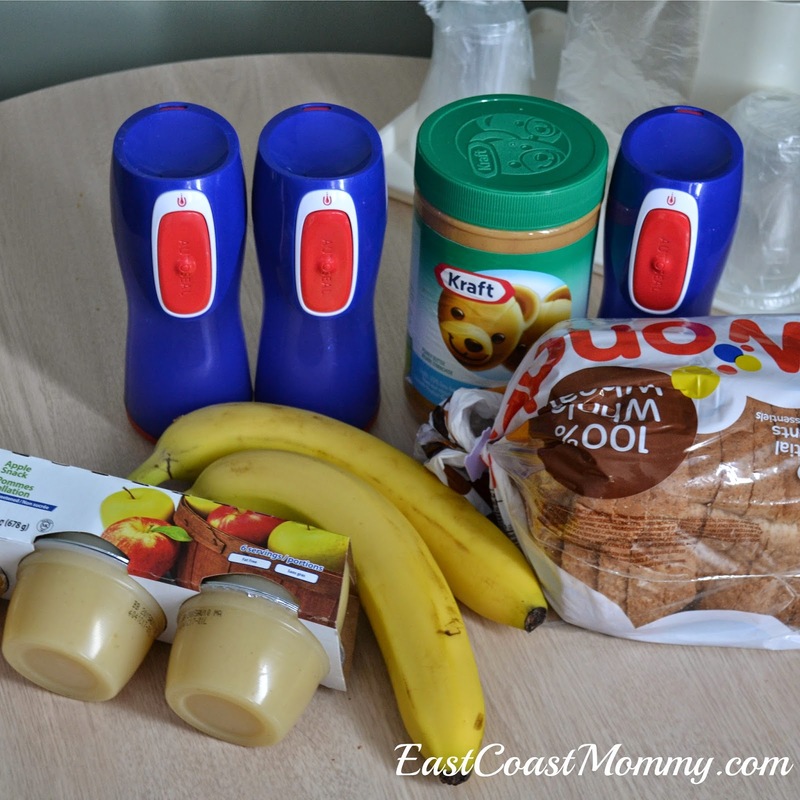 I like unsweetened applesauce, bananas, bread, and peanut butter. It's not fancy... but it's economical, tasty, and keeps my boys happy and full. 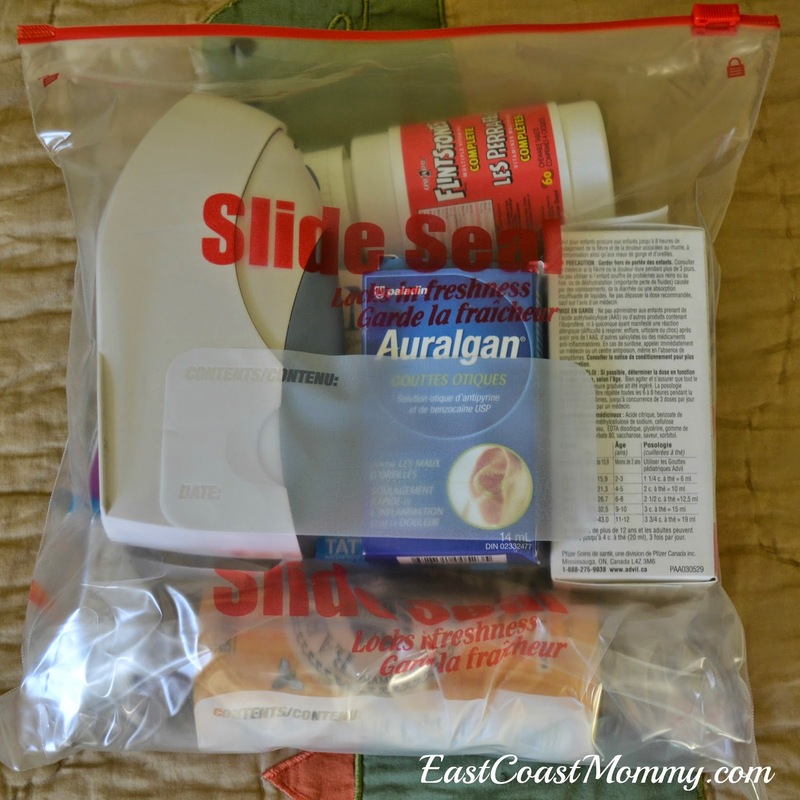 4) Put together a bag of basic medical supplies. I always pack Gravol, Benadryl, Tylenol, bandaids, a thermometer, ear drops, etc... There is nothing worse than being in a strange city (with a sick child) searching for an all night pharmacy. 5) Use sealable storage bags. I use bags to: keep organized, identify special outfits, isolate dirty items, and hold wet stuff. 6) Pack light (especially if you will have access to a washer and dryer). Try to choose multi-functioning outfits and items that can be layered. Be selective, and only take what you really think you are going to need. Packing light saves baggage charges, makes it easier to transport luggage through the airport, and helps with fitting luggage into the truck of a rental car. 7) Stay organized - Some people recommend rolling your clothes, but I prefer them folded in neat piles so I can see what I have and keep things organized. I pack all three boys in one suitcase (divided into three sections). I hope you find these packing tips helpful. Vacations are a lot of fun, but it's important to be prepared. 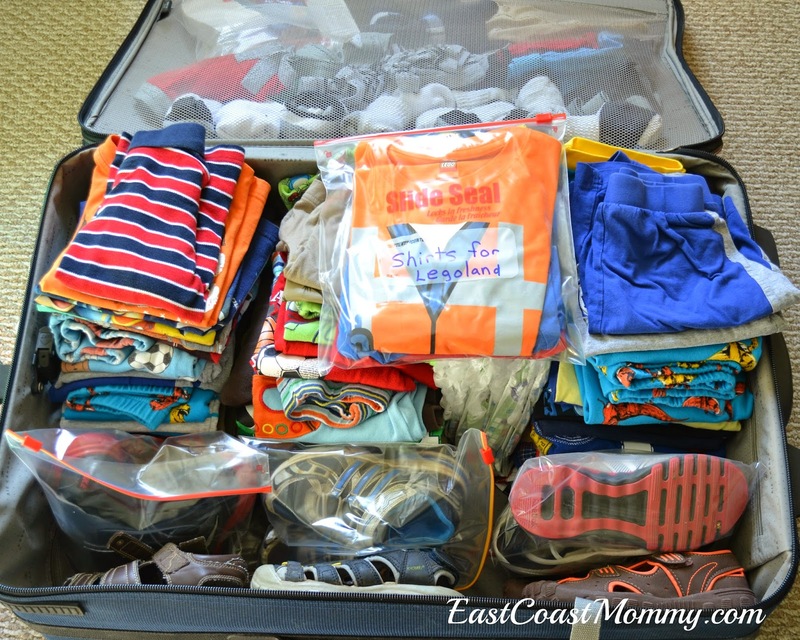 What's your best packing tip for families? 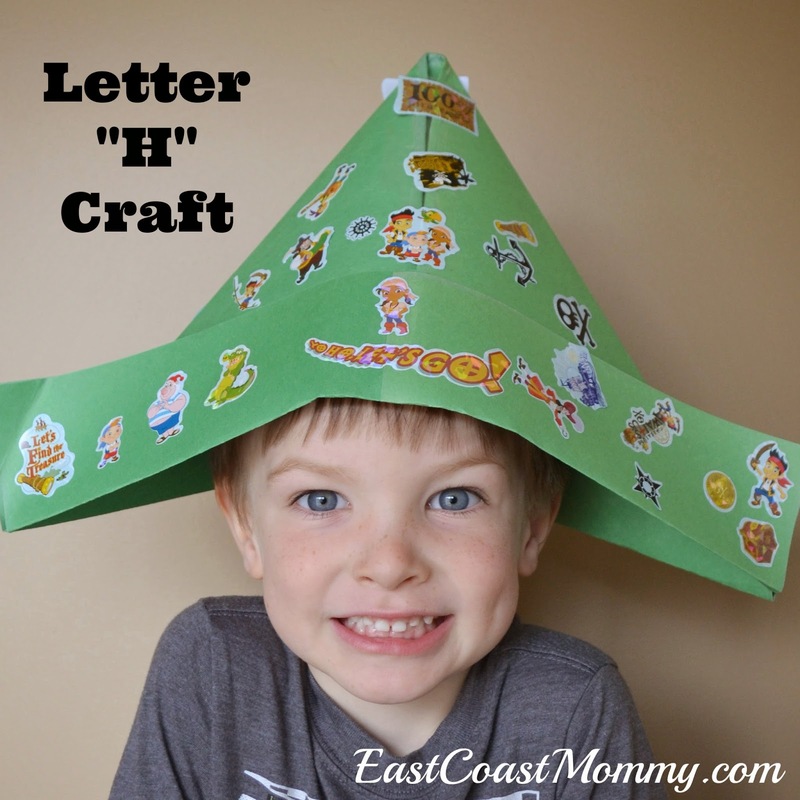 Yesterday my four year old and I had some fun with the letter H. We made a paper Hat, and we did a little letter H printing practice. 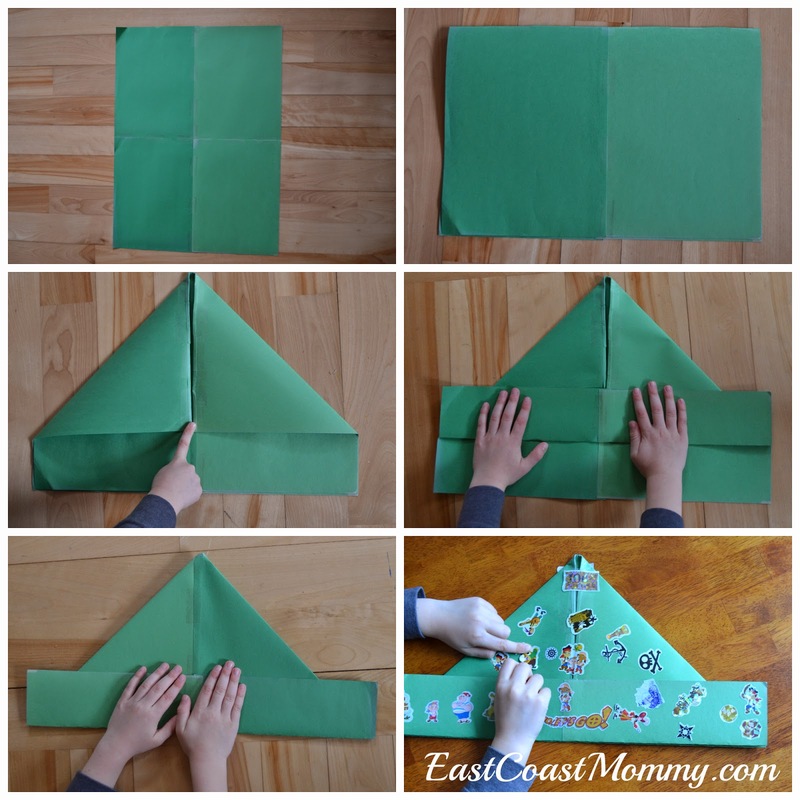 1) Let your child pick his/her favorite color of construction paper, and tape four pieces together to create one large rectangle. 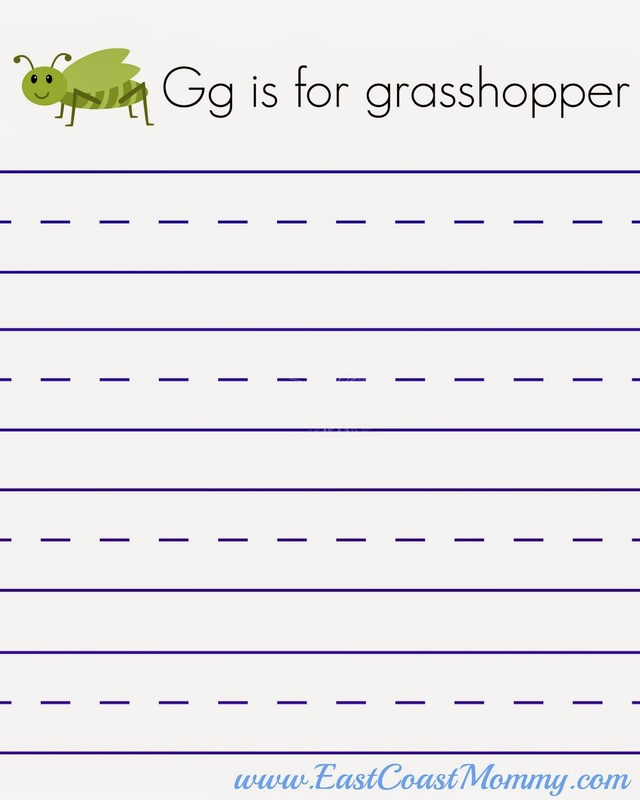 2) Fold the paper in half lengthwise. 3) Fold the top corners down so that they meet in the middle. 4) Turn up the bottom flap, flip over, and do the same on the other side. 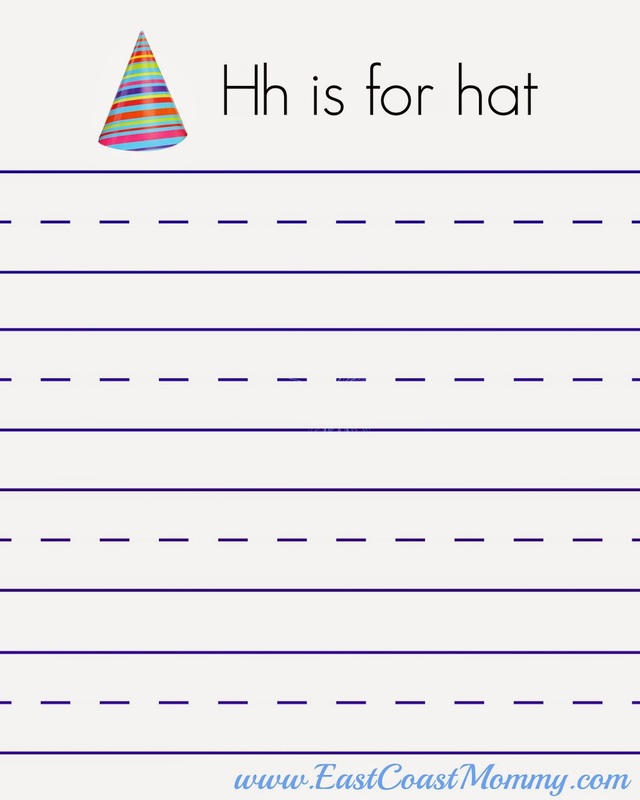 5) Have the child decorate that hat with crayons, markers, or stickers. After our craft, we did a little printing practice. If you want to practice printing the letter H with your little one, you can right-click on the picture below, save it to your computer, and print it. 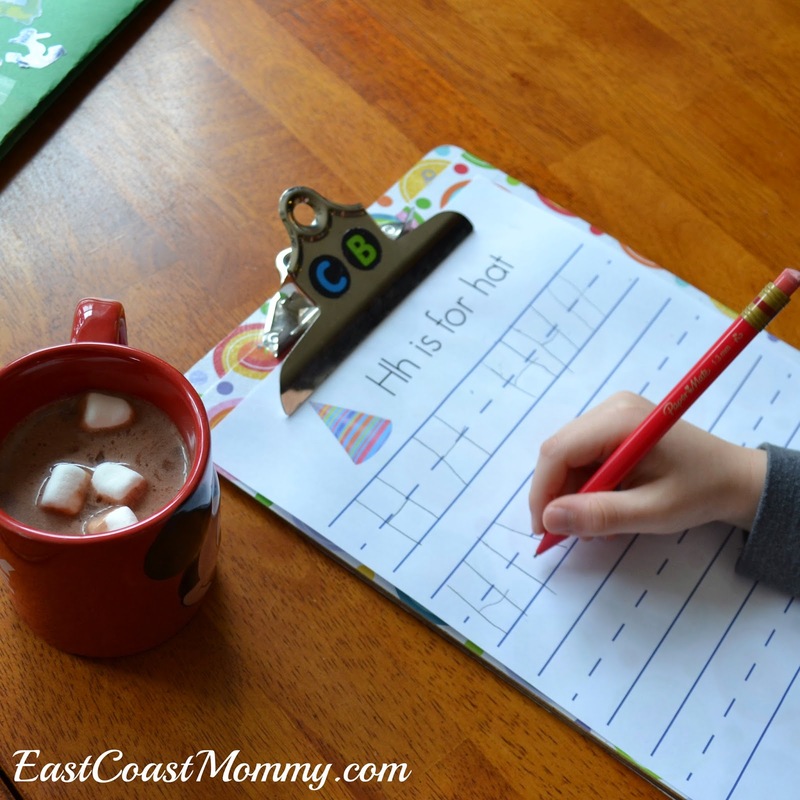 I made some hot chocolate as a special "h" snack for my little guy to enjoy while he practiced writing the letter H.
If you are looking for more letter H crafts, why not make a house out of a letter H? 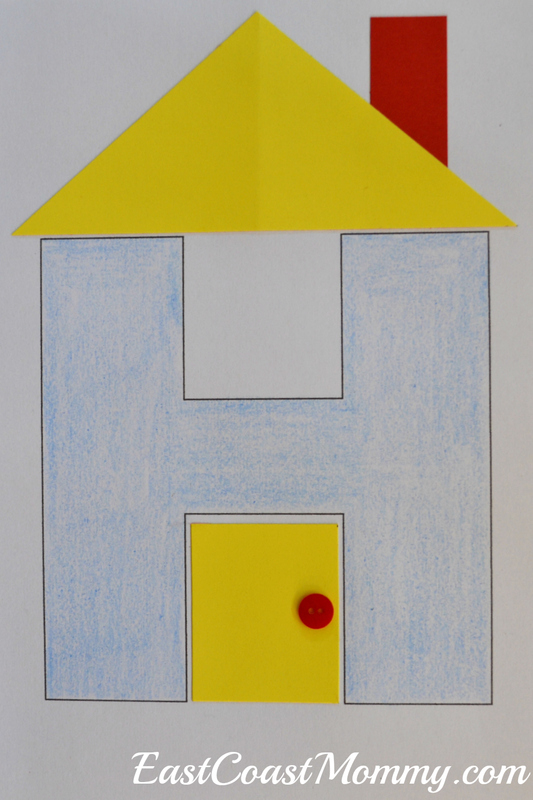 Use construction paper for the roof, door, and chimney. Then, add a button for a doorknob. It's also fun to decorate the letter H with "Halloween" stickers and "hearts". Fun, right? Next up... the letter "I"! 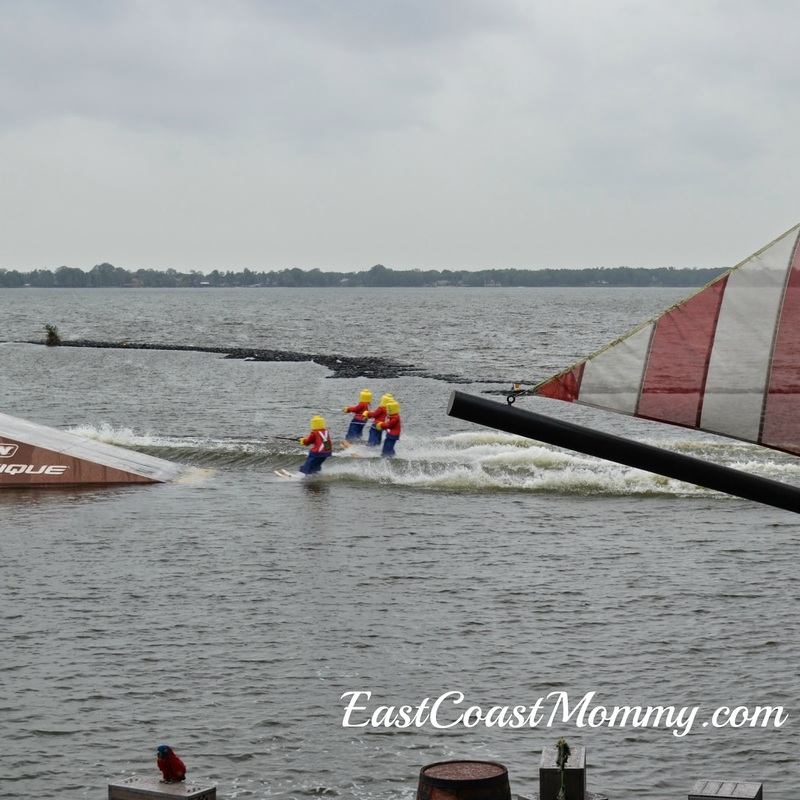 When planning a family vacation, I love to get advice from other moms that have "been there". 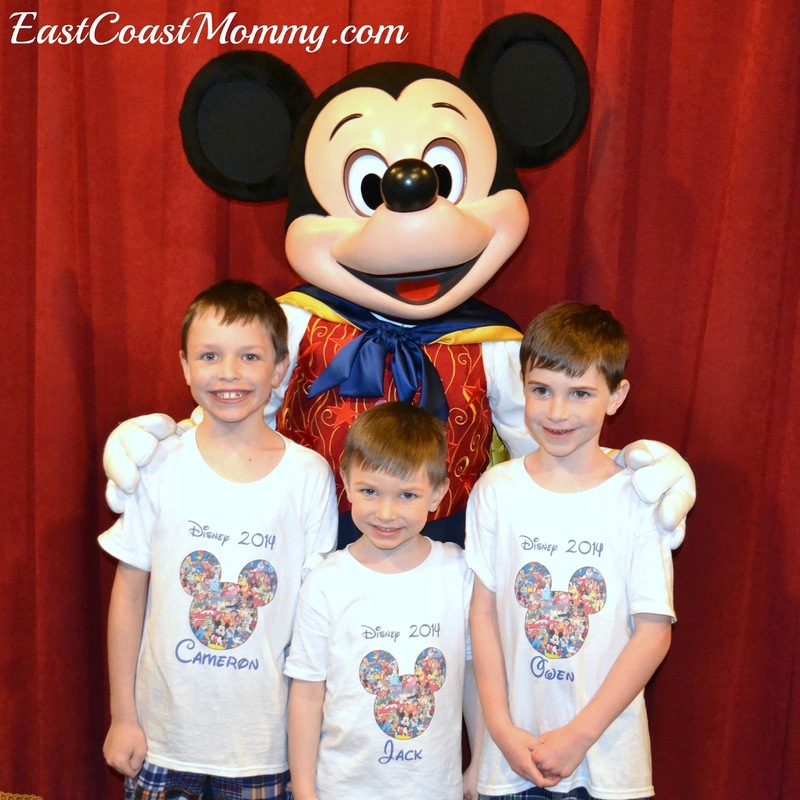 So today, I am sharing tips from our recent trip to Disney's Magic Kingdom. 1) Buy your tickets ahead of time. 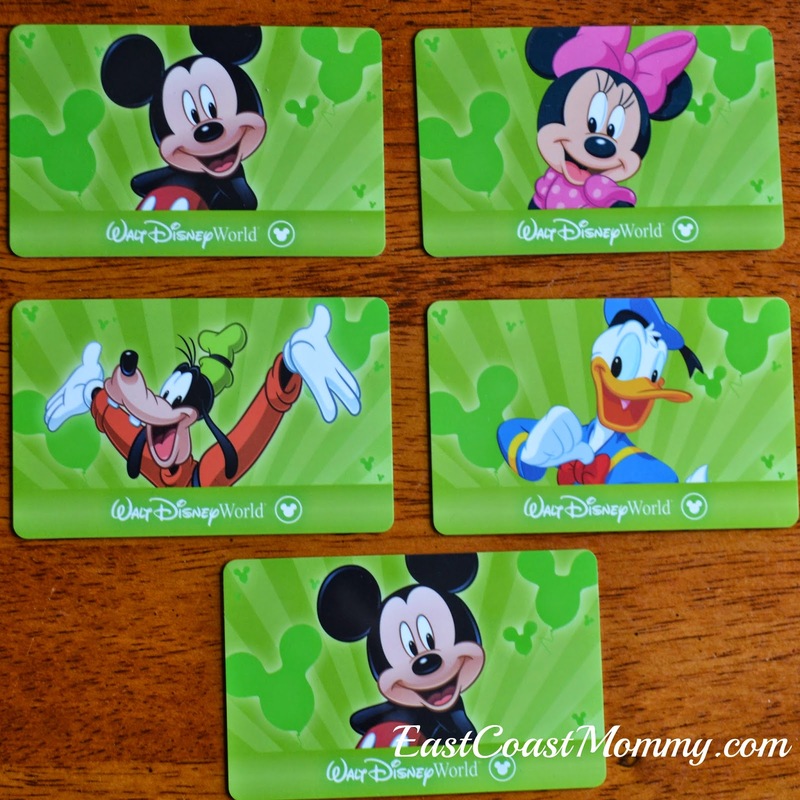 (affiliate link) Even if you are only buying one day tickets, buying your tickets ahead of time will allow you to register your tickets using the My Disney Experience app. Then, before you arrive at the park, you can link your account with anyone you are going with and select your fast passes. If you wait to get your fast passes at one of the kiosks in the park, you may find that many of your choices are no longer available. 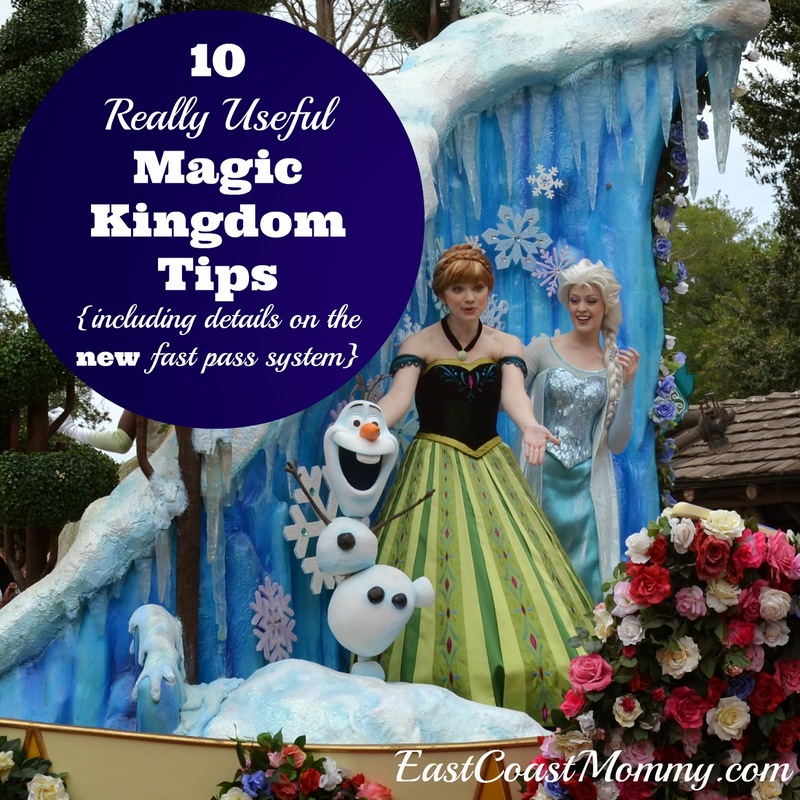 To optimize your options, I recommend booking your fast passes at 7am 30 days before your visit. You'll also want to book some of your fast passes for 11am-2pm when the park is most crowded. 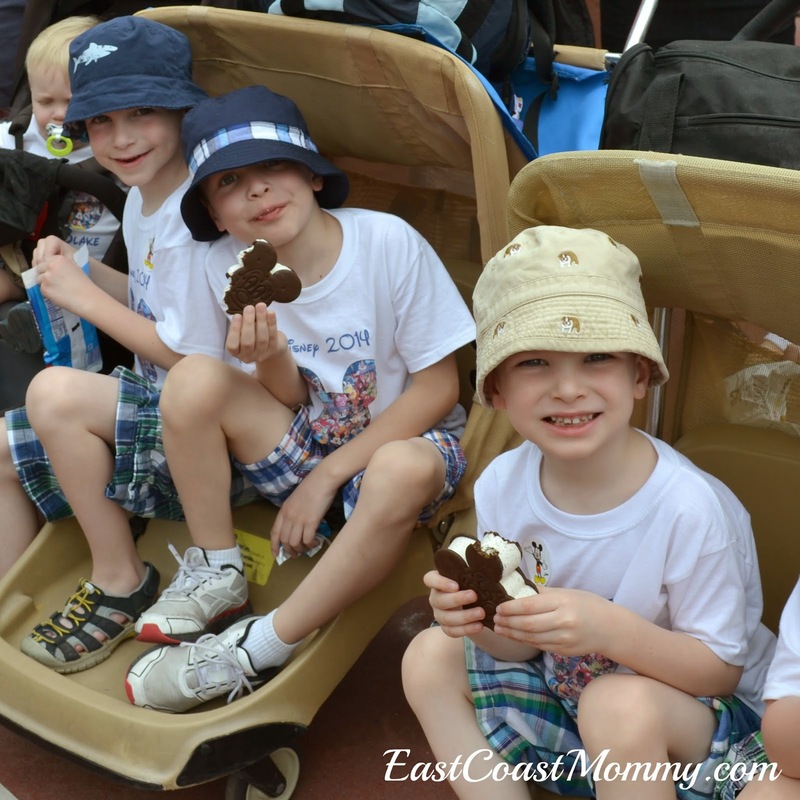 Money saving tip: Kids under three don't require a ticket. 2) Buy glow sticks, souvenirs, and rain ponchos outside the park. The kids will love having "something that glows" during the night time parades and shows, and glow sticks are super-cheap at the dollar store. And if the forecast is calling for rain, rain ponchos can also be purchased inexpensively at the dollar store. They don't take up much space, and you'll be happy when you don't need to pay the inflated park prices. Also, Disney souvenirs are cheaper outside the park, and if you don't have them with you, you won't have to carry them around all day. 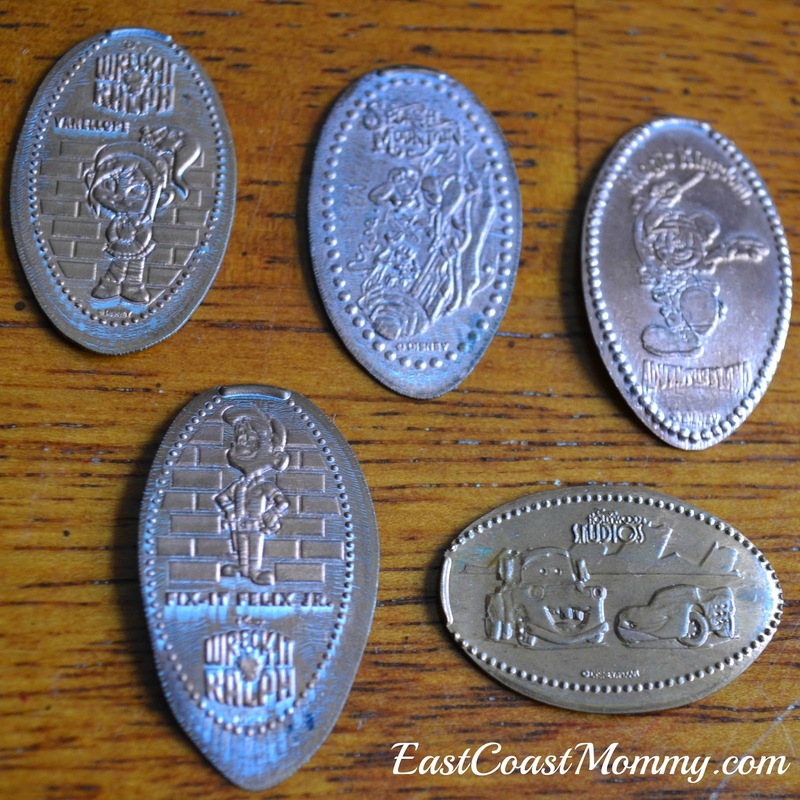 Note: There is one souvenir that I recommend buying at Disney parks -- "pressed pennies". They are a lot of fun, easy to carry, and very inexpensive. Pack some pennies and quarters, and have some fun pressing pennies! 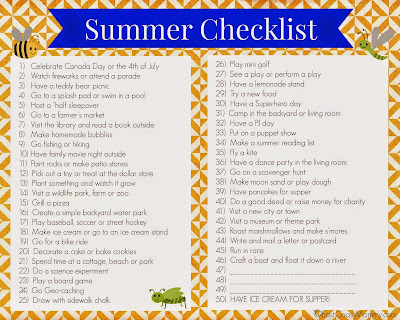 3) Bring a backpack, and fill it with everything you'll need for the day. We always take water bottles (which can be refilled for free throughout the park at fountains or restaurants selling soda), sandwiches, lots of snacks, sunscreen, a camera, and a sweater for when it cools down at night. 4) Dress for the day. Wear a sunhat, sunglasses and comfortable shoes. 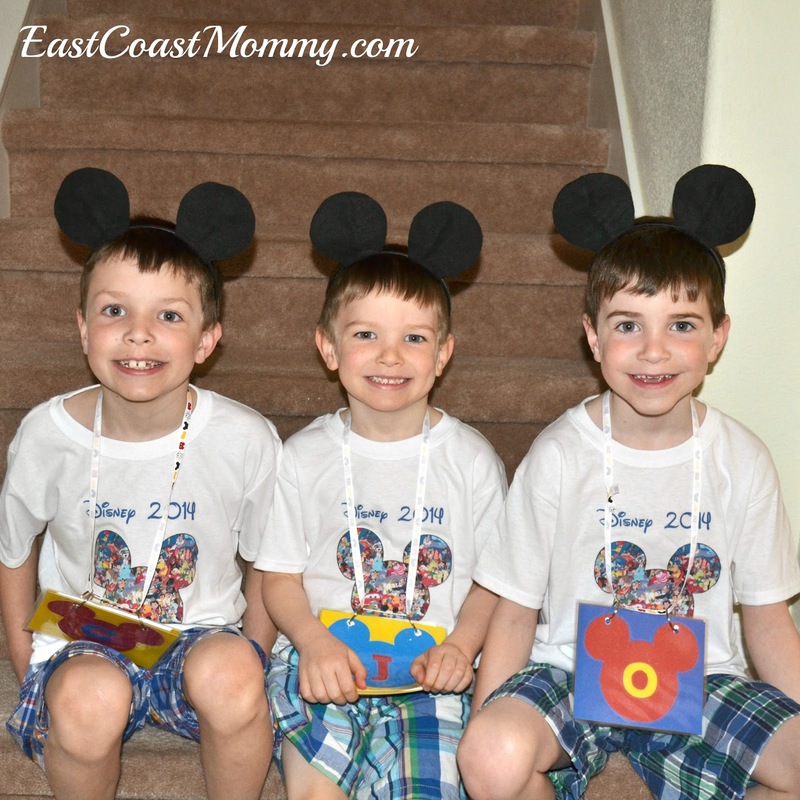 I also like to wear special "Disney" shirts on my boys. It's fun, it looks cute in pictures, and it lets people know they are part of the same group. 5) Arrive early. It is a time consuming process to get from the Magic Kingdom parking lot to the front gate. Also, at 8:45am there is a train that arrives at the entrance with many of the Disney characters. They put on a little show, and countdown to the park opening. It's really worth seeing! Also, if you arrive early, you can head straight for a popular ride and avoid a big line up. 8) Take advantage of rider switch passes. If you have a child that doesn't meet the height requirements for a ride, you can ask a cast member for a rider switch pass. One parent can ride while the other waits, and the they can switch. 9) Don't just focus on the rides. 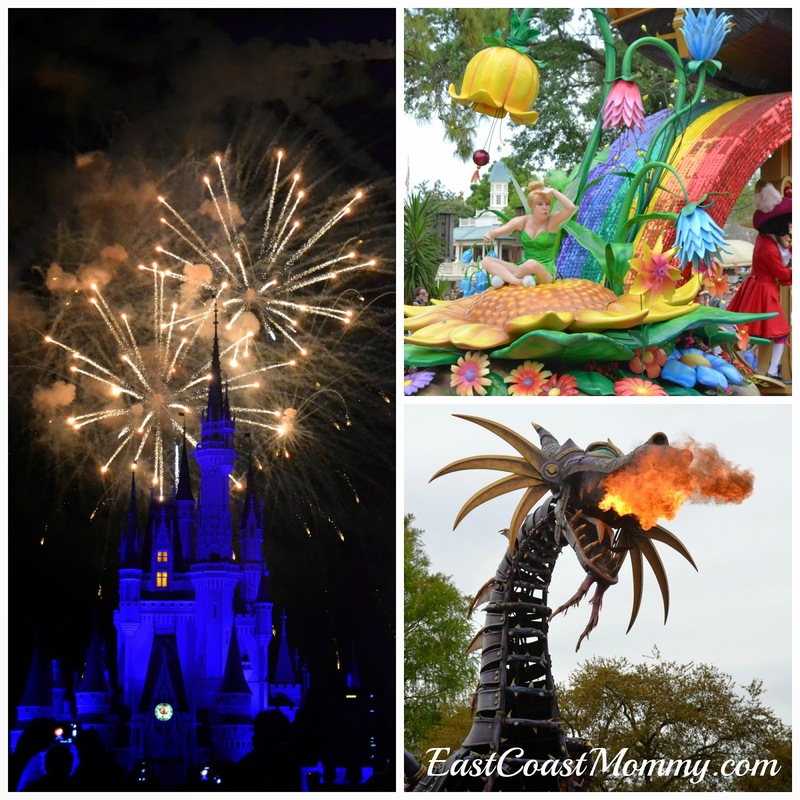 Magic Kingdom has many excellent rides, but a lot of the magic comes from the parades, the light show on the castle, and the fireworks. Arrive at the parades early if you want a good seat. Cast members will be able to give you advice about where you should stand and how early you should arrive. Money saving tip: If you are interested in a character meal, you may want to consider choosing a breakfast. It's a much cheaper option, and the kids are often so excited that they aren't that interested in the food anyway! 11) Have Fun! Don't forget that the whole point of the trip to the park is to have fun. So... relax, take lots of pictures, and make memories that will last forever. 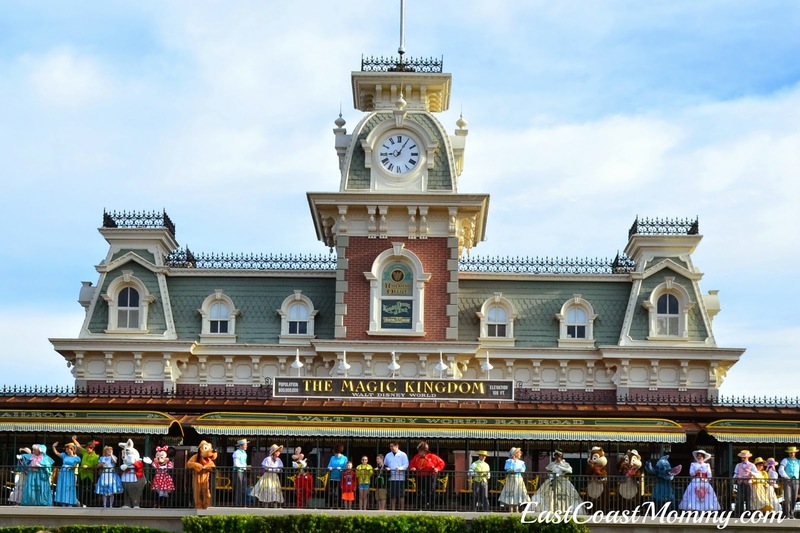 What's your best tip for a successful trip to Disney's Magic Kingdom? I can't wait to start planning our next trip! Our Easter Bunny always leaves behind bunny tracks. My boys are always excited to find bunny tracks on Easter morning because it is actual proof that the Easter Bunny has been to our house. 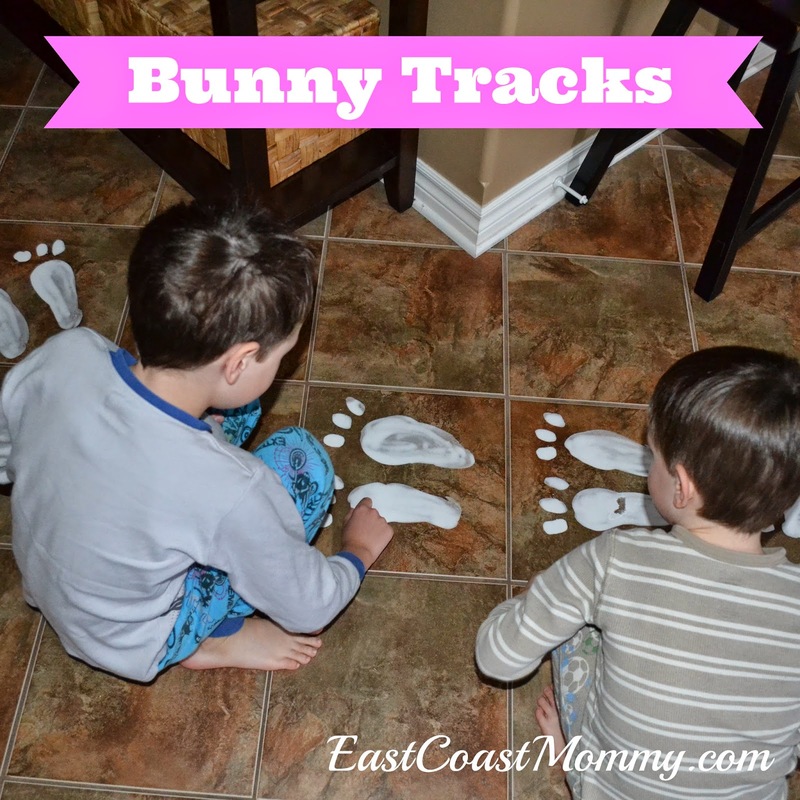 Bunny tracks are soooo simple to make. 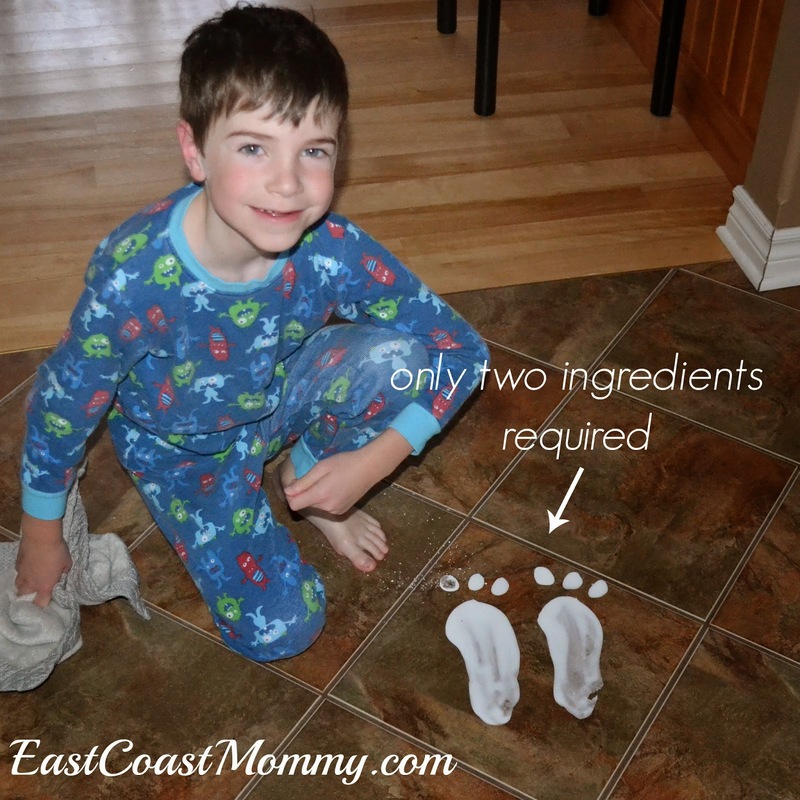 Just mix 1/4 cup corn starch and 1/4 cup water, stir to combine completely, and paint the prints using a paint brush. They go on watery, but when they dry, they turn really white. They are also easy to clean up. Don't you just love the excitement of Easter morning? I hope you give bunny tracks a try next year. Happy Easter! 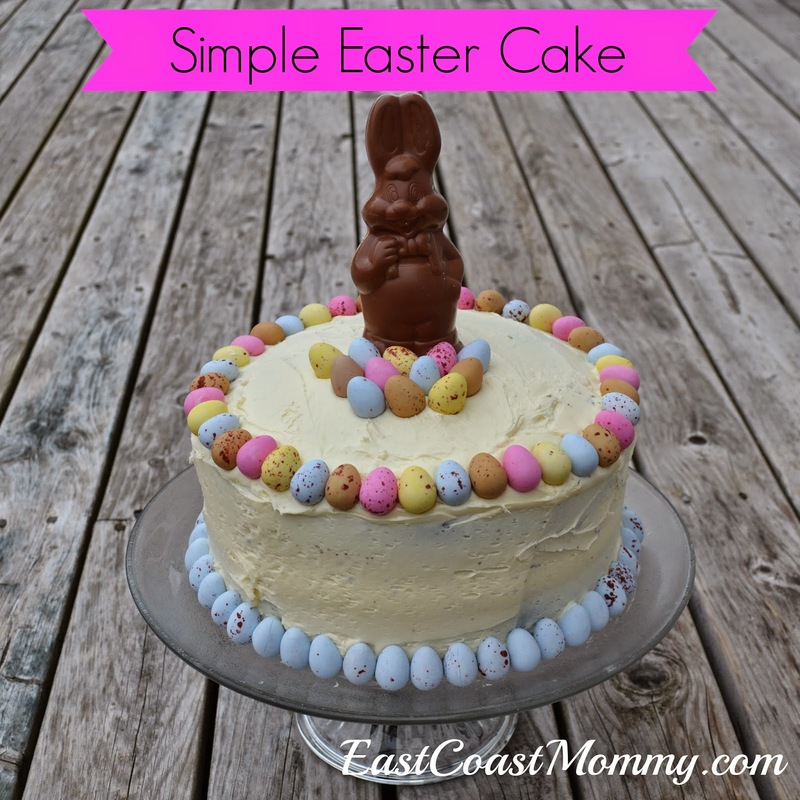 I know everyone is busy hunting for eggs, but I wanted to quickly share the easy Easter cake we are having for dessert today. Isn't it cute? I used a cake mix and frosted it with store bought icing. Then, I added some candy covered chocolate eggs and a little chocolate bunny. Once the cake was cooled, it took me less than 10 minutes to decorate. It doesn't get much easier than that. What are you having for dessert today? I had big plans for a brand new, fancy Easter wreath, but my busy schedule got in the way of my crafting desires. So, to keep things simple, I altered my Spring wreath to make one that is perfect for Easter. 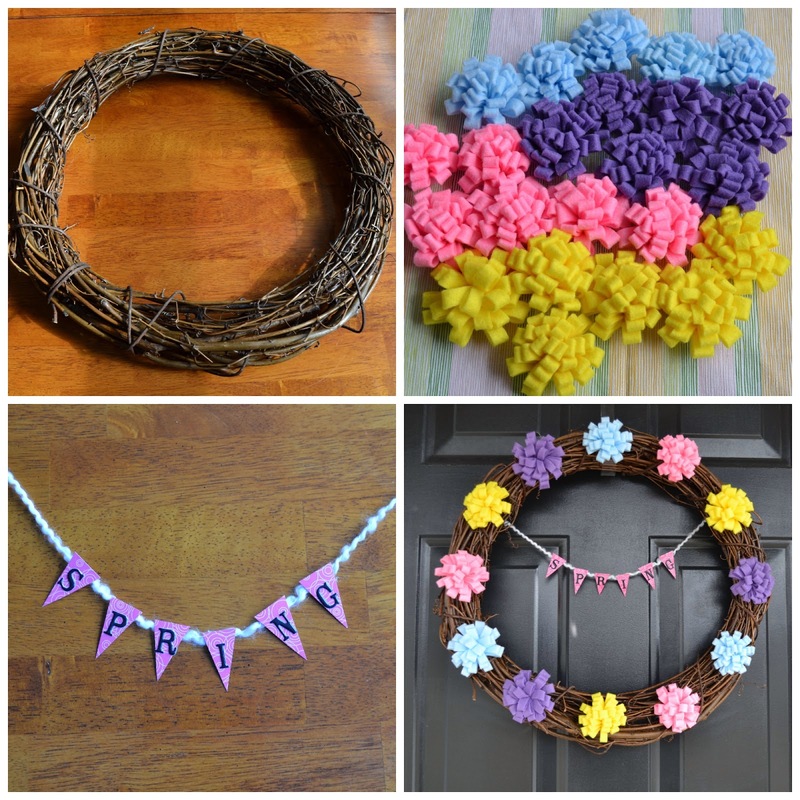 You can find the tutorial for my Spring wreath here. 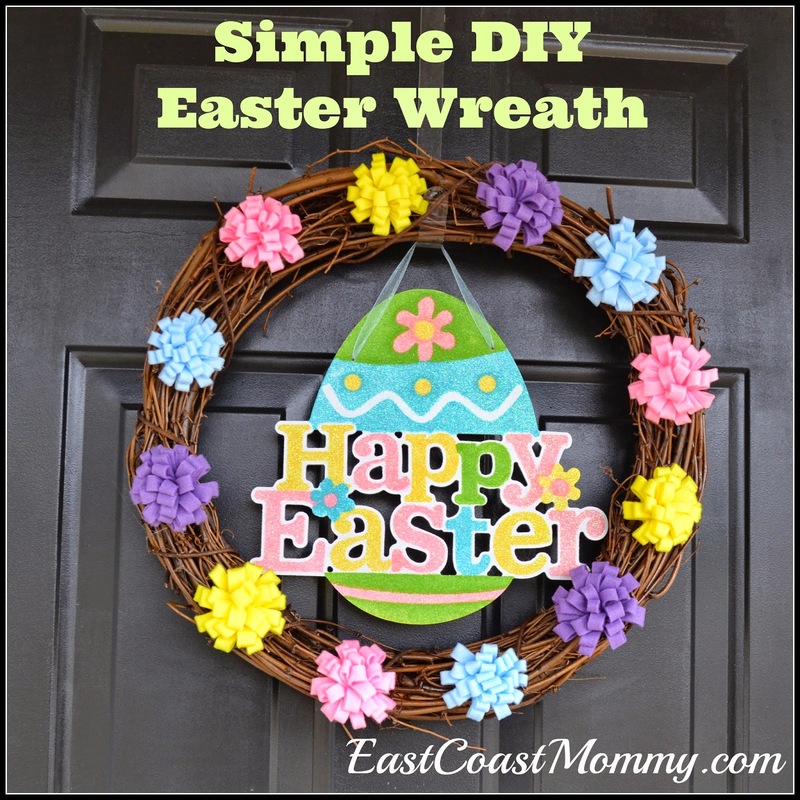 The only difference between the Spring wreath and the Easter wreath is: instead of adding a "spring" banner, I added a glittery "Happy Easter" sign from the dollar store. Pretty cute for $2, don't you think? 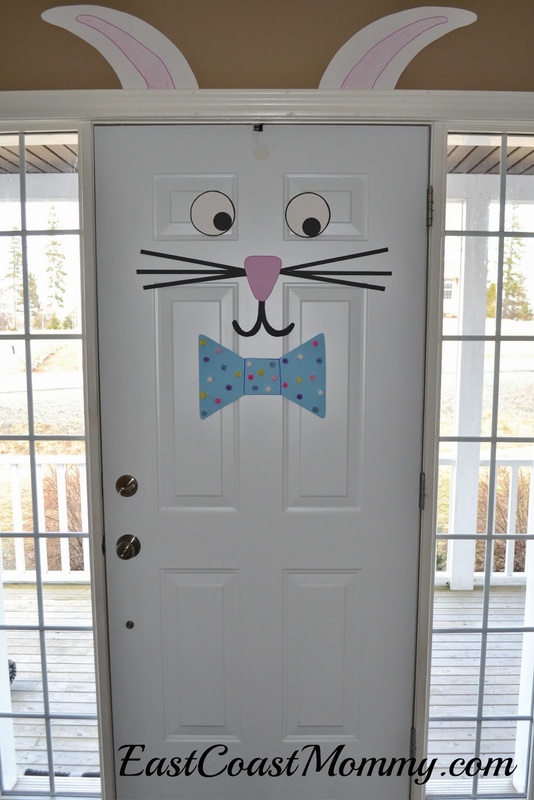 I used bristol bristol board for the ears, eyes, nose, whiskers and bow tie. Then, I used painter's tape to attach all the pieces to the door and the space above the door. 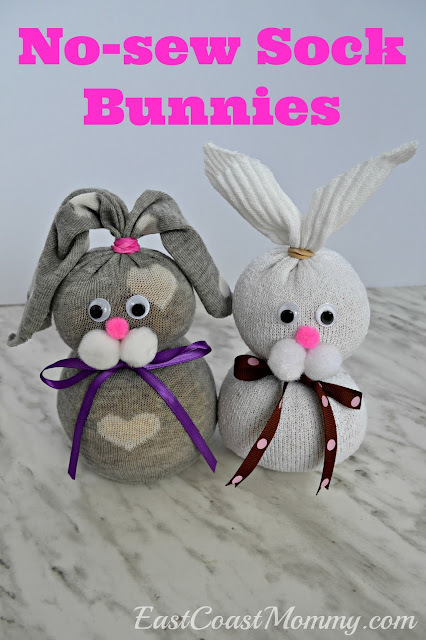 Have you already decorated for Easter this year? 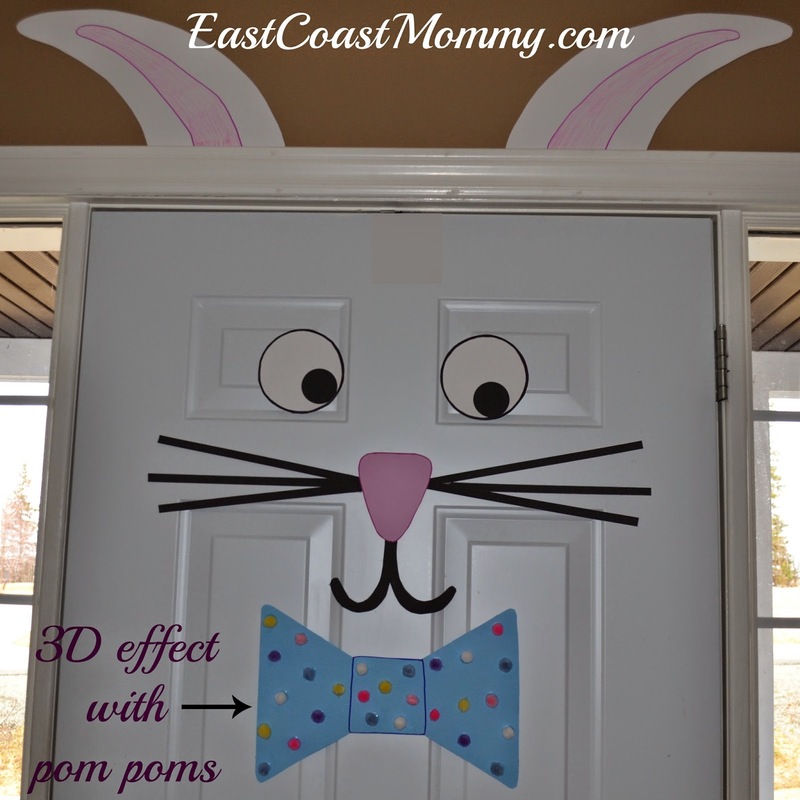 If not, this Easter Bunny Door is the perfect DIY home decor project to do with the kids. 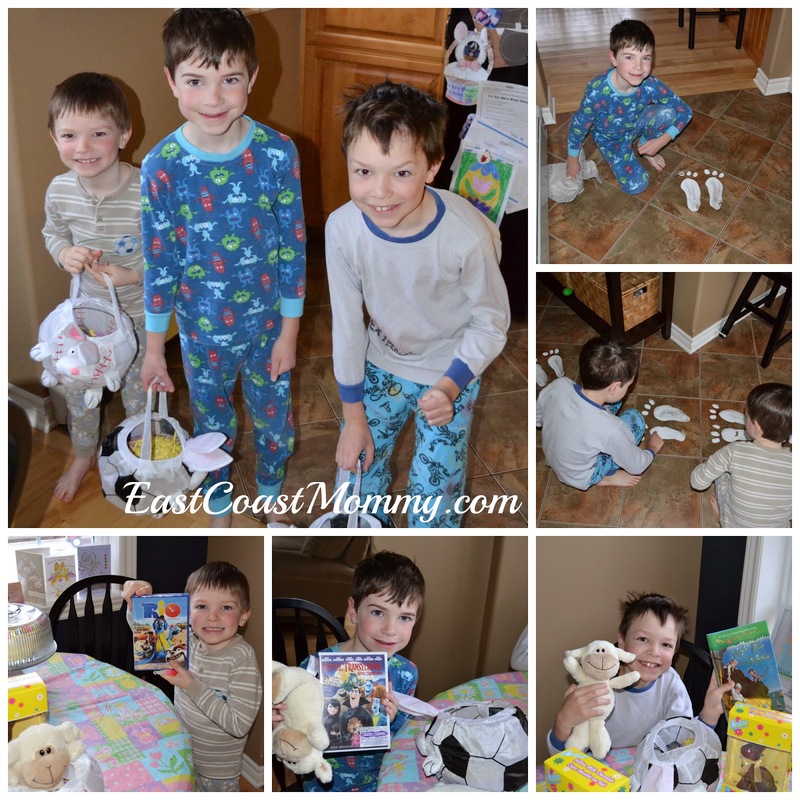 Follow East Coast Mommy's board Easter Fun! on Pinterest. 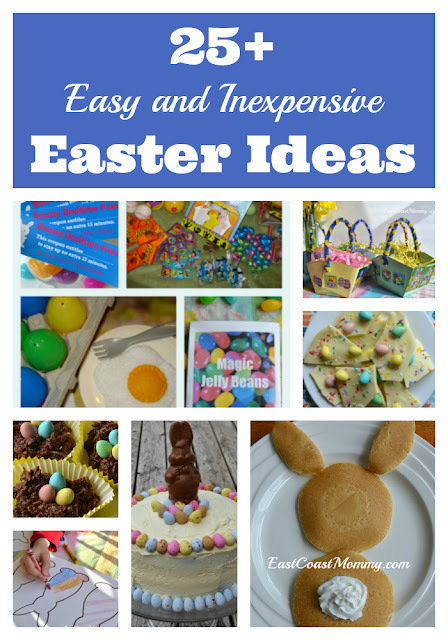 Find more ideas for easy and expensive Easter crafts, recipes, and activities here. 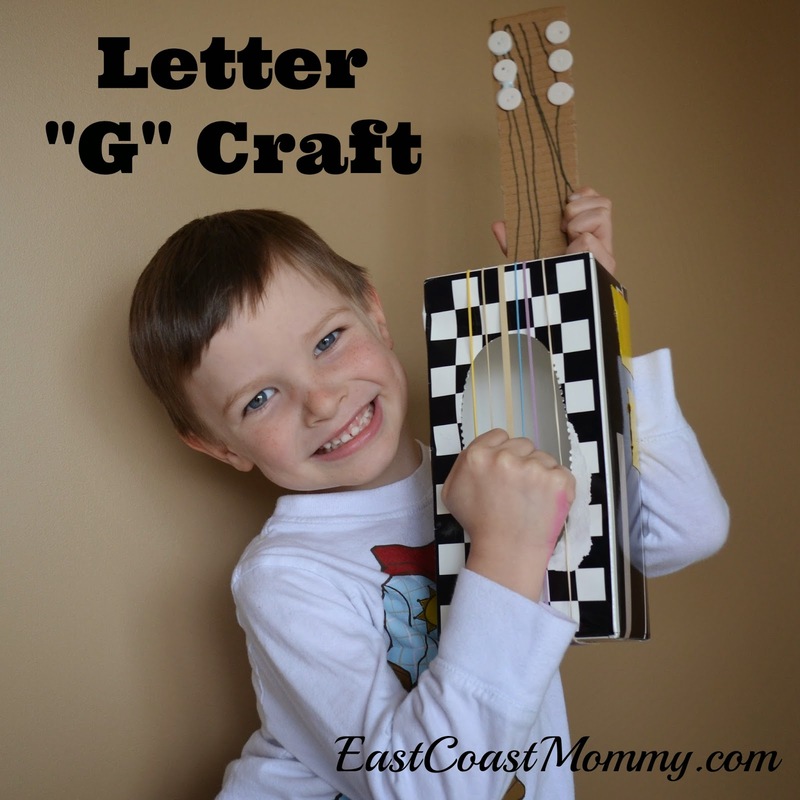 This morning, my four year old and I had some fun with the letter G. We made a guitar craft, and we did a little letter G printing practice. 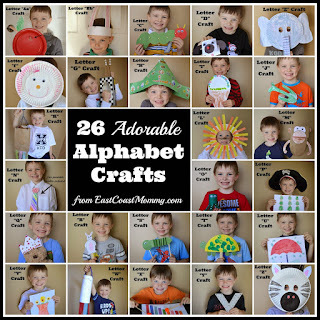 My music loving boy loves this adorable craft made from recycled materials. 1) Gather your supplies. 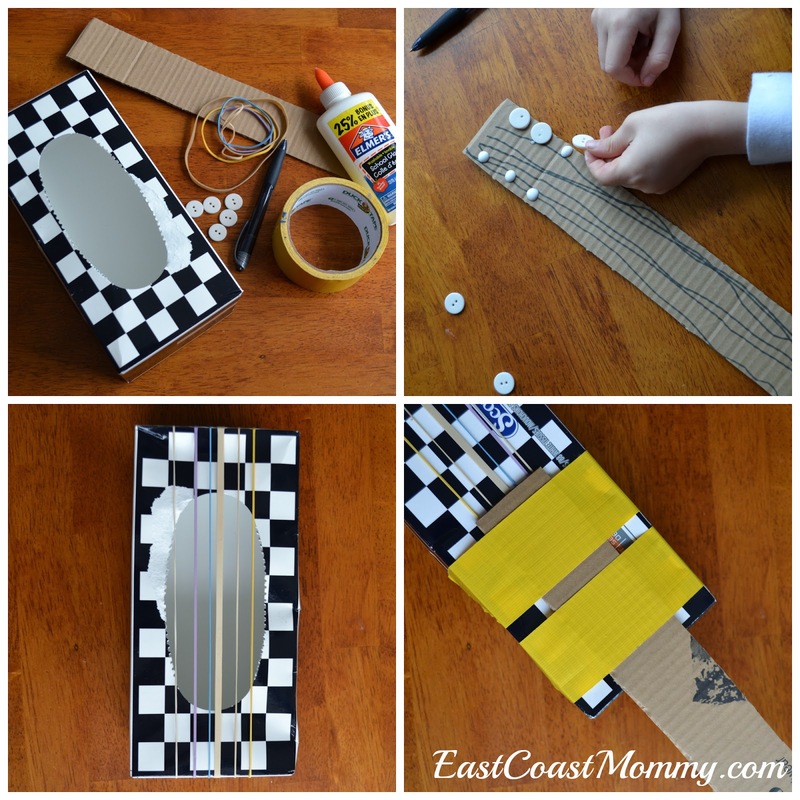 You'll need an empty tissue box, a strip of cardboard (from an old box), six buttons, six elastics, glue, a marker, and duct tape. 2) Have the child draw strings on the neck of the guitar/strip of cardboard. Then, have the child use white glue to decorate the top of the strip with buttons. 3) Have the child wrap six elastics (of various sizes) around the tissue box. 4) Attach the neck of the guitar to the tissue box with duct tape. After our craft, we did a little printing practice. 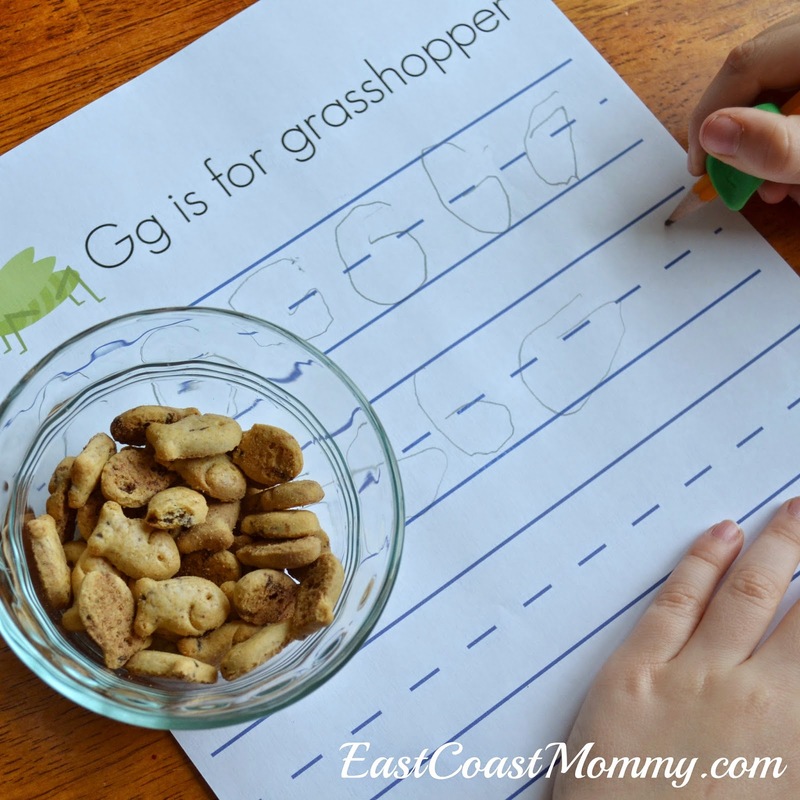 If you want to practice printing the letter G with your little one, you can right-click on the picture below, save it to your computer, and print it. 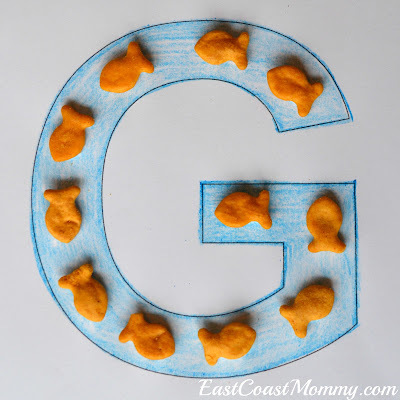 We ended our crafting session with a little snack... because "G" is for goldfish, and all that crafting and printing can build up an appetite! 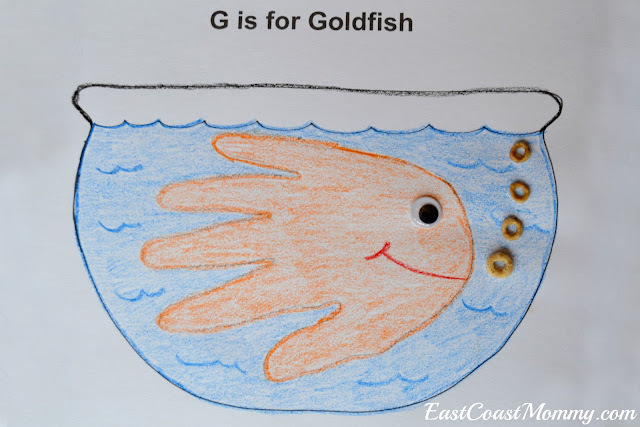 And if you are looking for more letter G crafts, why not try decorating a letter G with crayons and goldfish? 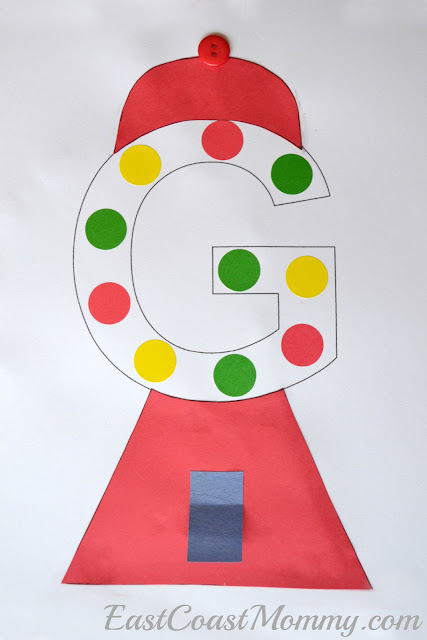 This adorable letter "G" gumball machine is sweet too! The "gumballs" are stickers. 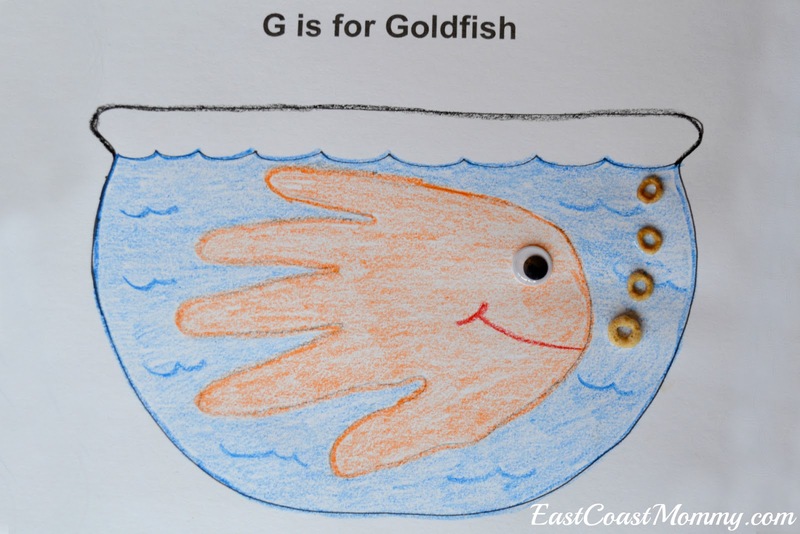 And this handprint goldfish couldn't be cuter. Trace the child's hand to make the fish, and use white glue to add a googly eye and Cheerios air bubbles. 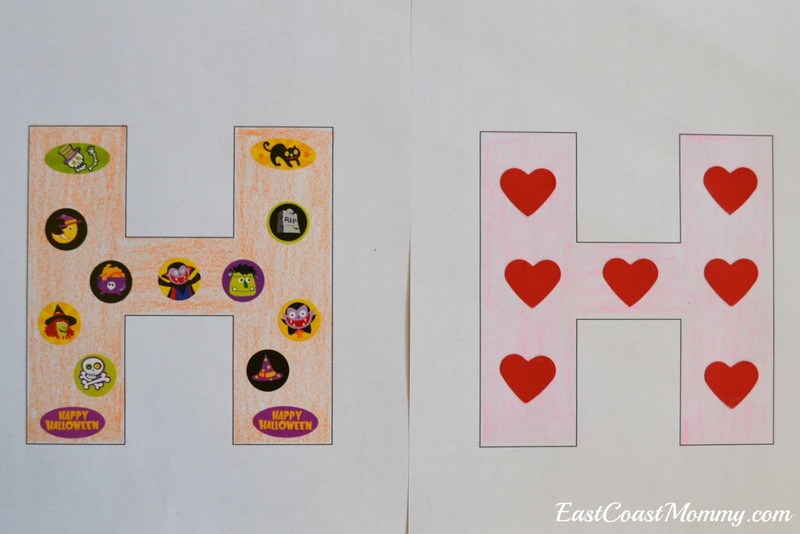 Next up, the letter "H". My family and I just returned from a fantastic vacation in Florida. 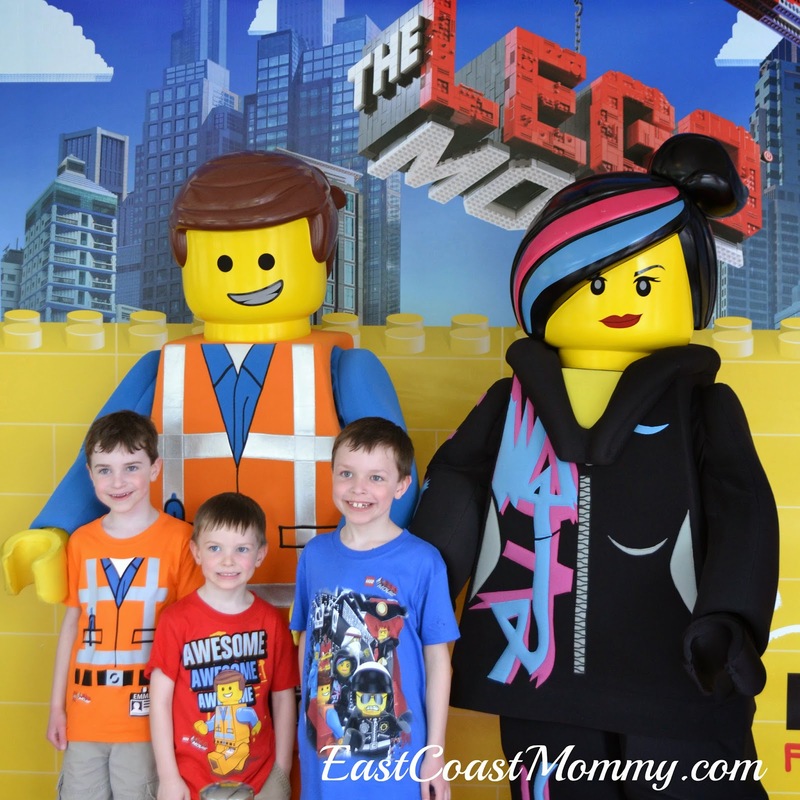 As part of our trip, we visited LEGOLAND for the first time, and today I am sharing my top 10 tips for a fun-filled day at LEGOLAND. 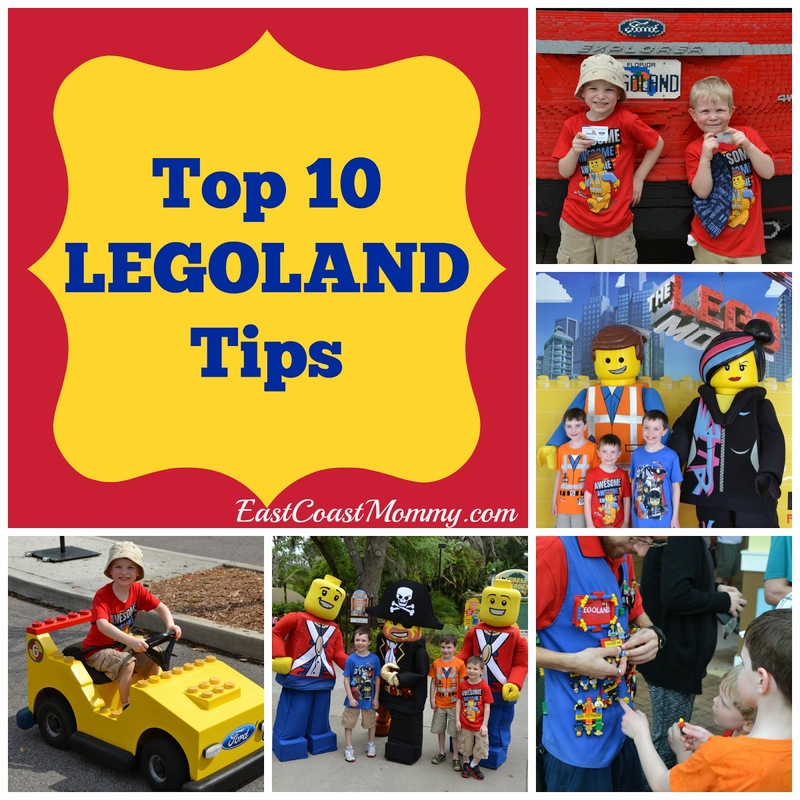 1) Know what you are getting - LEGOLAND is not a Disney Park, but it is A LOT of fun, and my boys LOVED it. If you have little ones between the ages of 4 and 10 (that like LEGO), you will NOT be disappointed by this park. 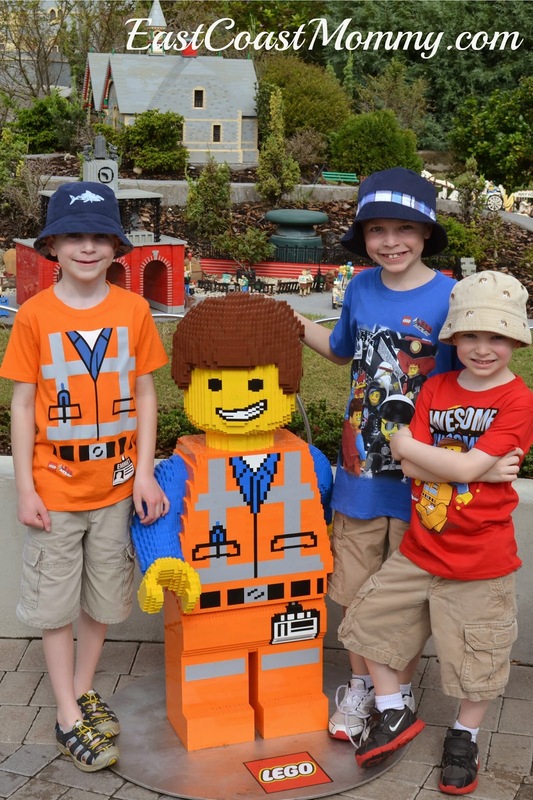 2) Look for discounted tickets - If you plan ahead, you can get real discounts to LEGOLAND. 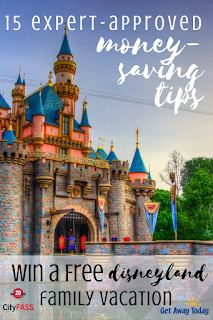 I purchased our tickets online at Costco, but you can also save by "picking a day" and ordering from the LEGOLAND website. I also saw some "buy an adult ticket and get a child admission for free" offers online. 3) Be aware of height restrictions - My tall four year old was able to ride most of the attractions at this park, but you should check ride requirements prior to visiting the park to avoid disappointment. 4) Check the weather - Be aware that most of the rides and attractions at this park are outdoors. If there is rain, many rides and attractions will shut down, so plan accordingly. 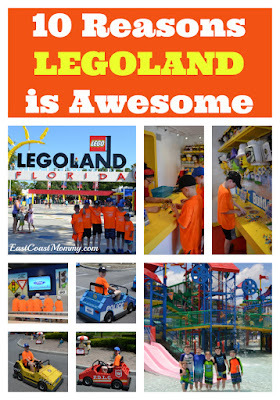 5) Buy a fun souvenir - They have fantastic LEGO souvenirs at this park. 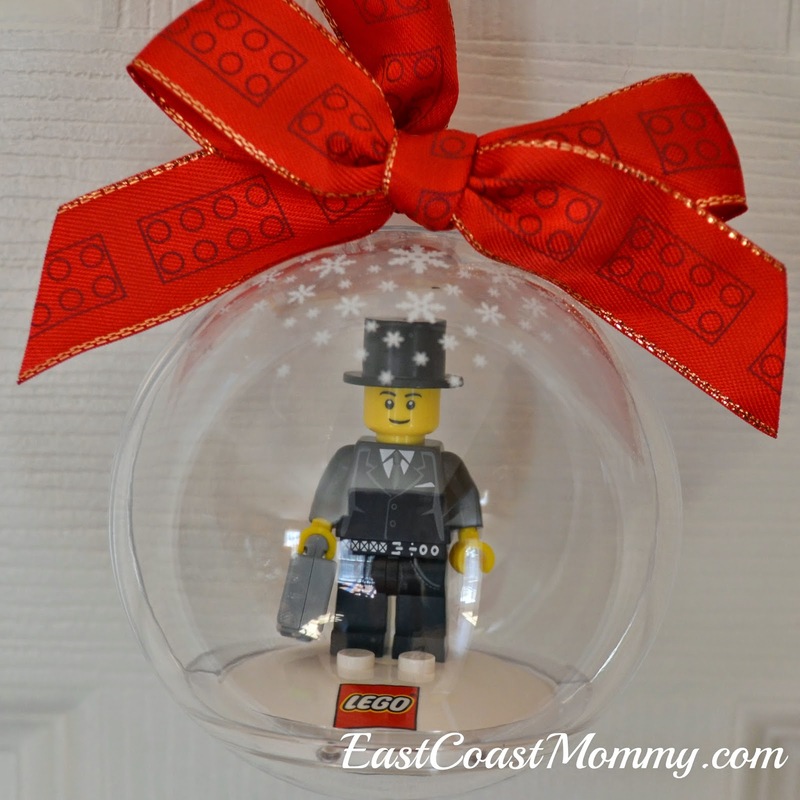 My favorite was a "build your own mini figure" Christmas ornament that was only $5.99. My boys will love hanging this on our Christmas tree. 6) Start at the back of the park - Arrive early, and start at the back of the park (where the roller coasters are) in order to avoid line ups. 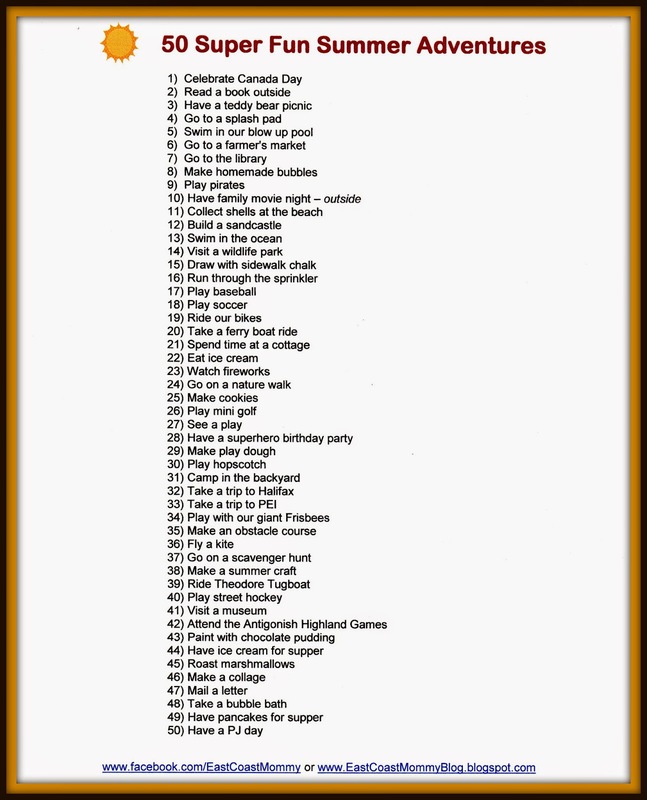 7) Make a plan - There is a water skiing show, character meet and greets, a 4D movie, and other events that occur at specific times. You should work these into your schedule if you don't want to miss them. 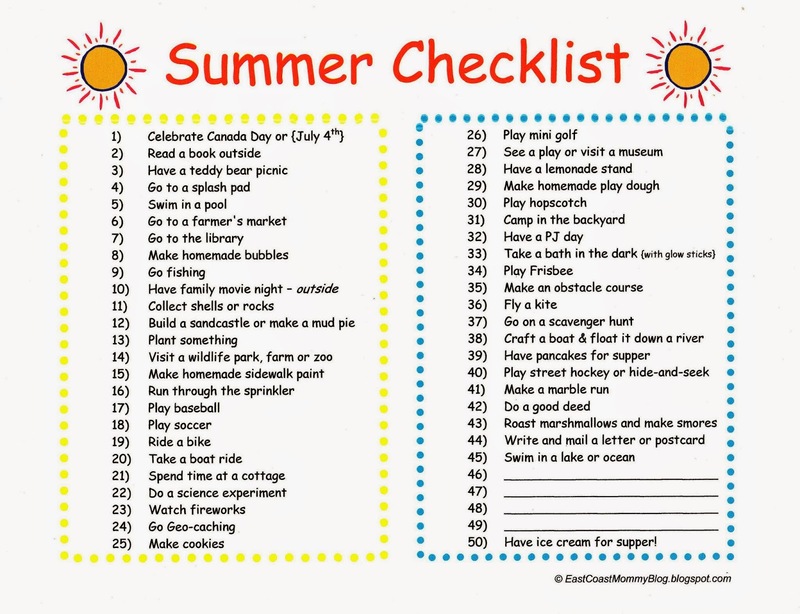 8) Be prepared - Every trip to a park is better if you are prepared. Make sure to pack everything you will need for the day. We took a stroller, backpack, water, sandwiches, snacks, sunglasses, sun hats, sweaters, sneakers, sunscreen, and our camera. 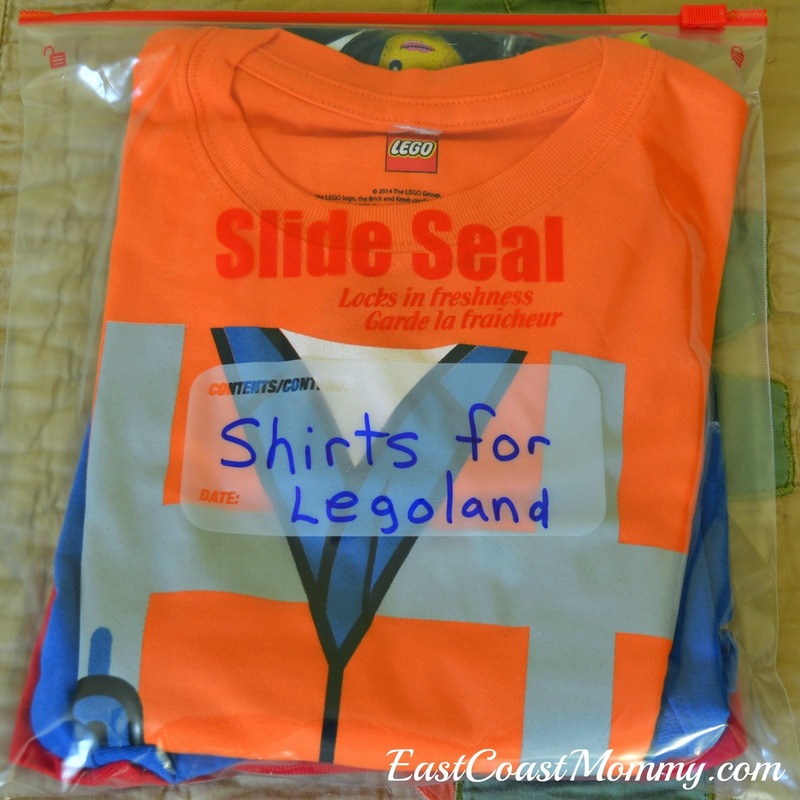 9) Dress for success - Before we went to the park, I purchased my boys $7 LEGO shirts from Walmart. 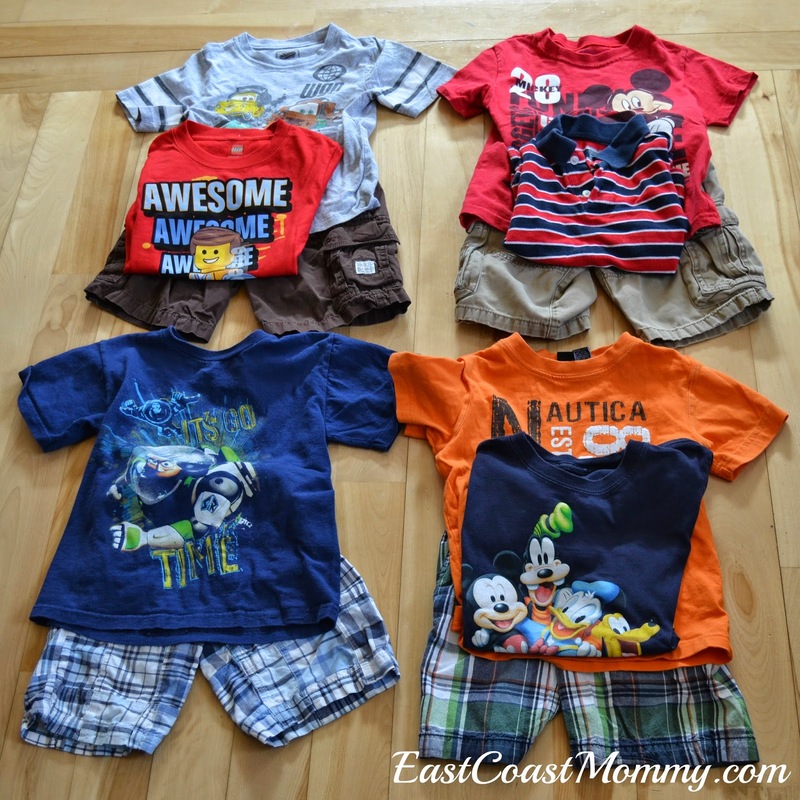 The shirts added to the excitement of the day, and my boys looked super-cute in the pictures. 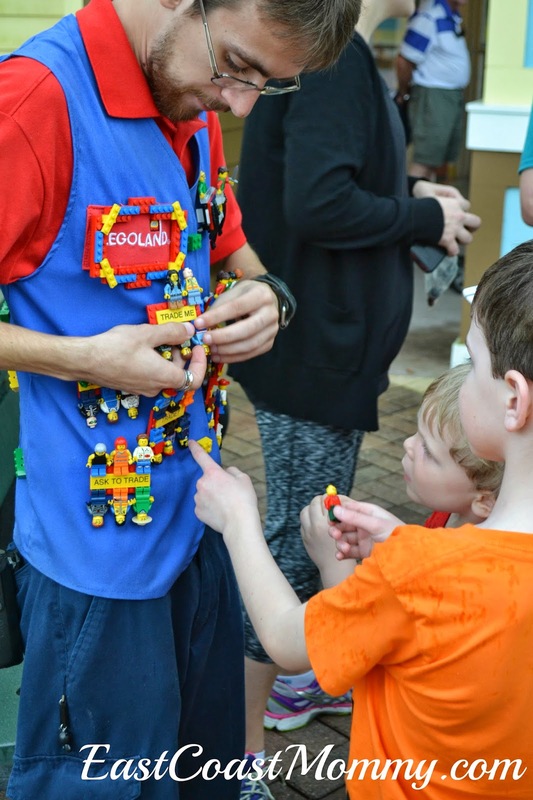 10) Bring LEGO mini-figures to trade - All the workers have LEGO mini-figures on their vests/name tags that they will trade with the park guests. My boys loved trading their mini figures. 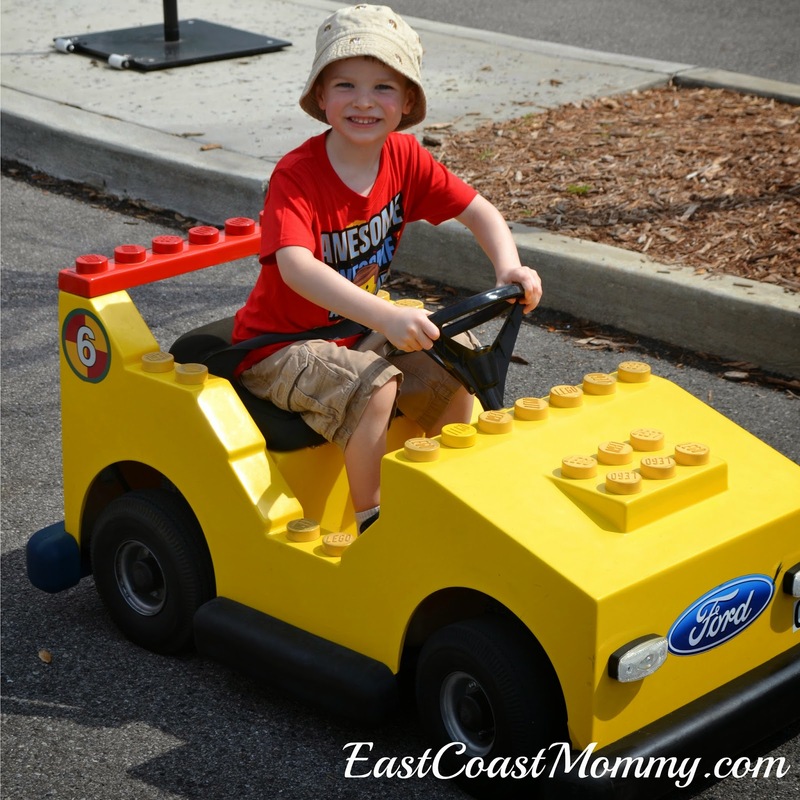 Have you ever been to LEGOLAND? 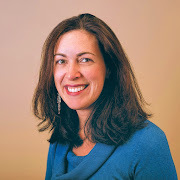 What tips would you offer to someone that has never been there?